Something sweet for you on Thursday morning. I found these when browsing through Martha Stewart Weddings. They are beautiful and look soo yummy. 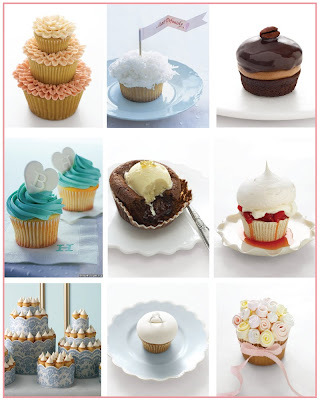 Cupcakes are a delicious and cheap alternative to the wedding cake and make great additions to showers. Hope you all have a sweet day!